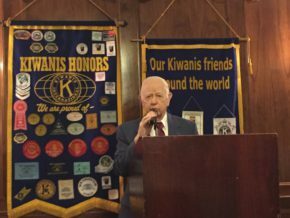 Kiwanis of Lafayette thanks Mr. George Schneider, WWII veteran, for speaking to us today. Mr. Schneider spoke of his experiences with the 30th Infantry Division, affectionately nicknamed "Old Hickory." The 30th Infantry was involved in more than 282 days of combat from June 1944 until April 1945. This division alone had six Congressional Medal of Honor recipients. The war began for Mr. Schneider on D-Day +4 (June 10, 1944) when he landed on Omaha Beach in Normandy. He spoke of the difficult early battles in the hedgerows in the Bocage region of Normandy followed by K Company's successful defense of Hill 314 at Mortain against a major German Panzer offensive. By September 1944, Mr. Schneider along with the 30th Infantry became the first Division to enter and liberate Belgium and then the Netherlands. By October 1, 1944, Mr. Schneider crossed the Siegfreid Line entered Germany. His time in Germany was short lived as he was called on December 16, 2016 to defend Malmedy, France as part of the German offensive known as the Battle of the Bulge. Mr. Schneider told us that while history books focus on the stand made by the 101st Paratroopers and General Patton's tank victory, Hitler's real objective was toward the North to break through the Allied lines at Malmedy and attempt to reach Allied supply depots in Liege and Antwerp, Belgium. After the Battle of the Bulge, he again entered Germany, crossing the Rhine and ultimately meeting up with the Russian Army at the Elbe River where the war for him came to an end. For those members who missed Mr. Schneider's speech, listen to his story by clicking the link below - the story is FASCINATING! 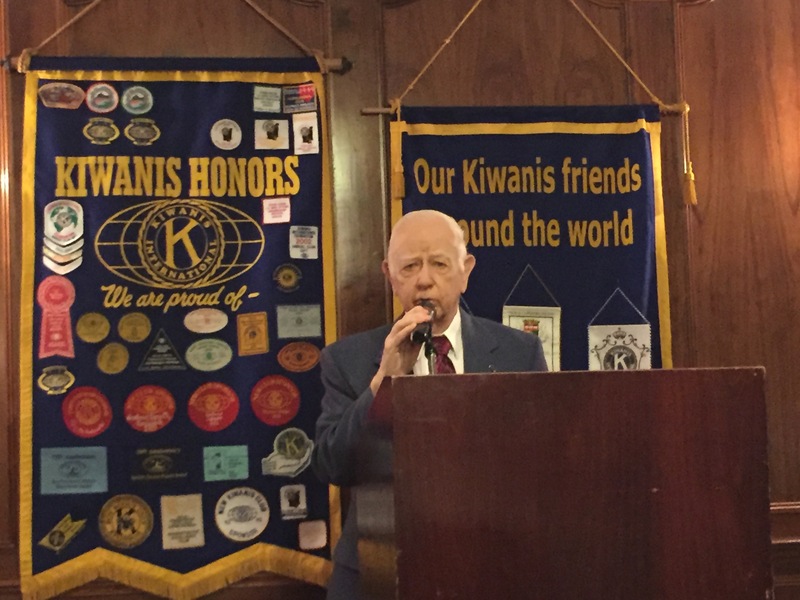 The Kiwanis Club of Lafayette thanks Mr. George Schneider for his thoroughly enthralling speech! We cannot possibly thank Mr. Schneider enough for his service to our country. Crying Towel 2016 – Who will win?